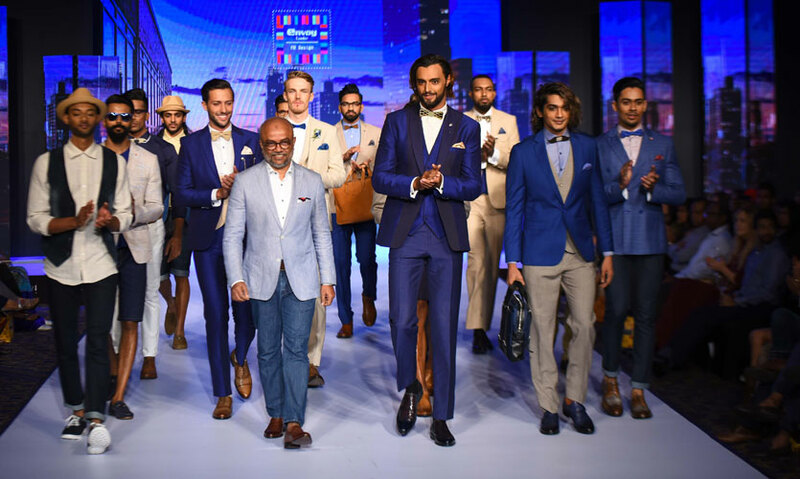 Day 3 of the HSBC Colombo Fashion Week 2018 for Spring/Summer ’19 took place on the 24rd of March at Hilton Colombo. 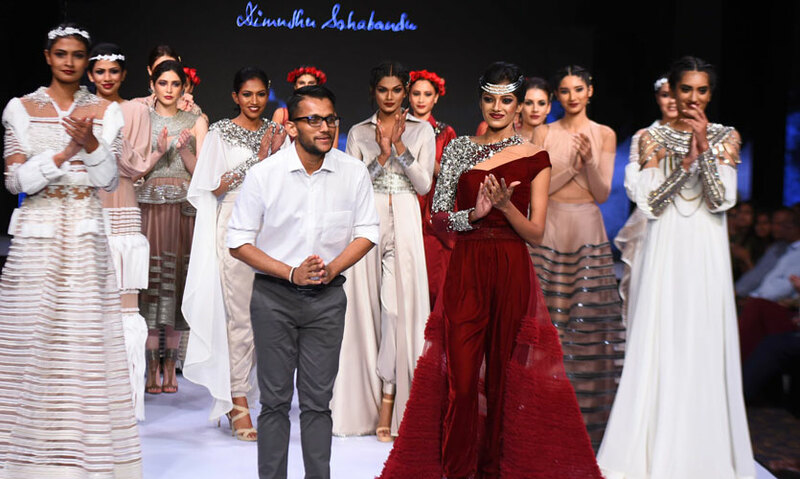 Sri Lankan and international designers showcased their creations to an audience of fashion lovers. Bold designs in various hues and silhouettes were sent down the runway. 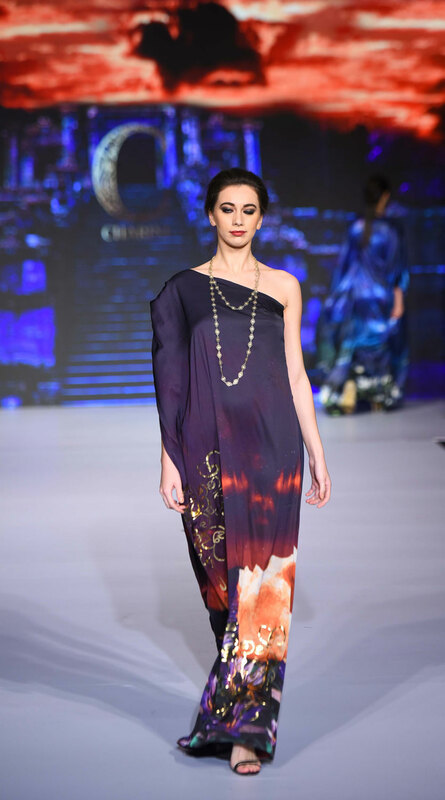 The show crescendoed into a series of dazzling outfits which showcased the high standard of fashion. 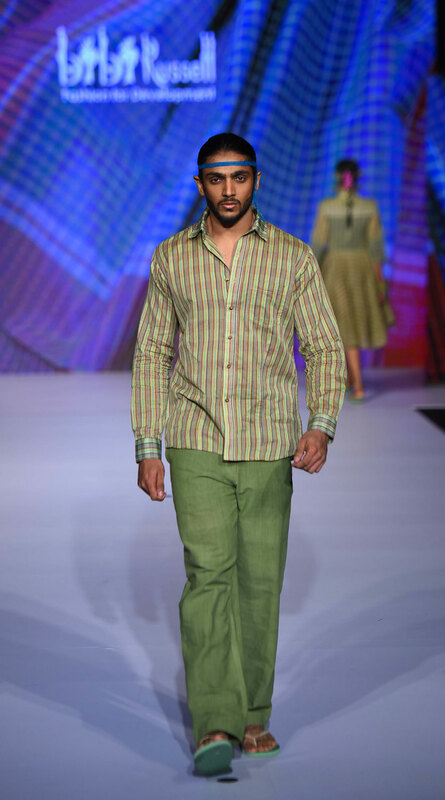 Known for creating drama through colour, Bibi presented a collection in varied hues of green. Her collection was created especially for the 15th anniversary of CFW. 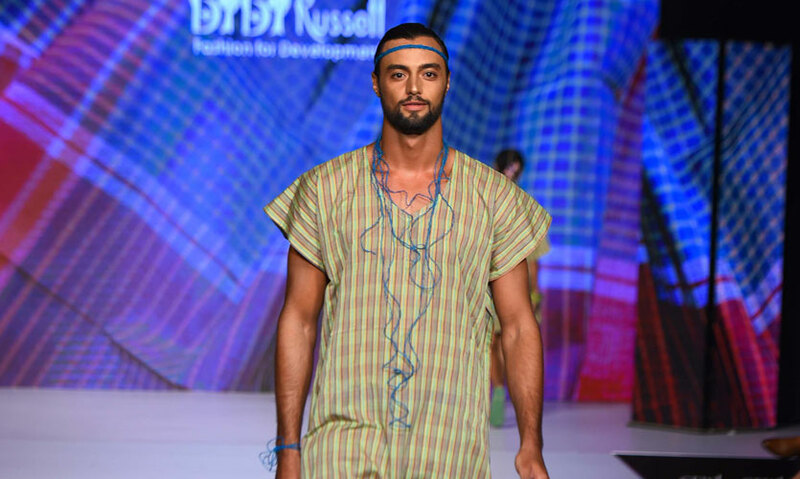 Using handwoven fabric, Bibi, showcased a collection that stayed true to her design ethos. Her accessories also complemented the collection. 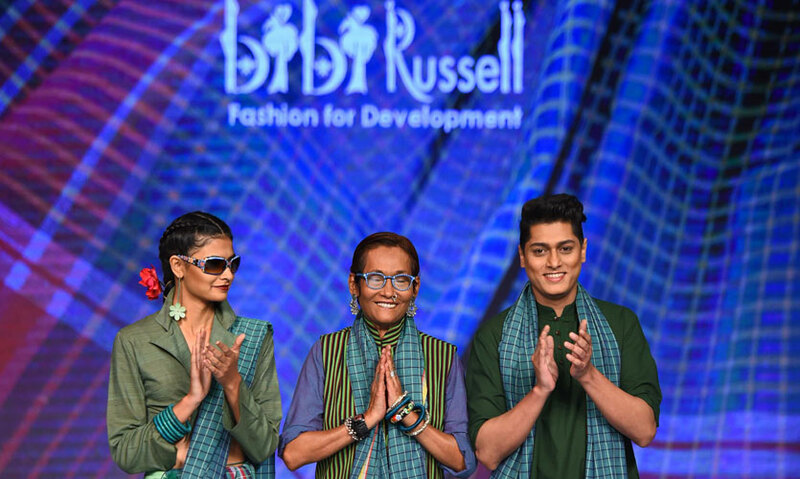 For Bibi, fashion more than anything is about empowering the rural artisan communities she works with and showcasing their talents to the world. 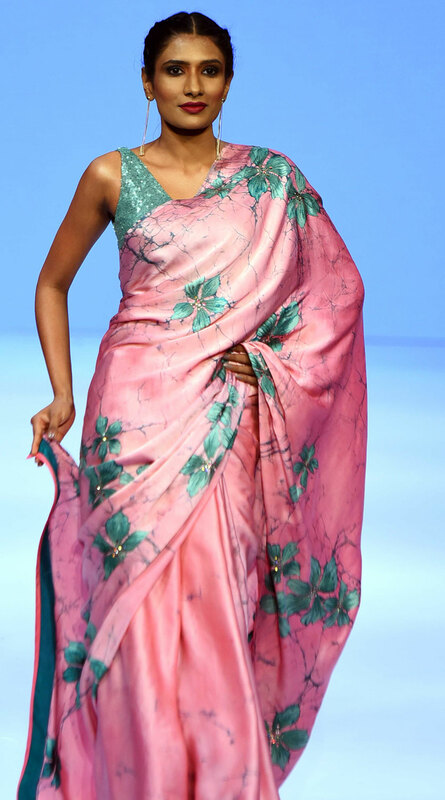 Creating her own fabrics has become a forte that Charini is fast gaining a reputation for. 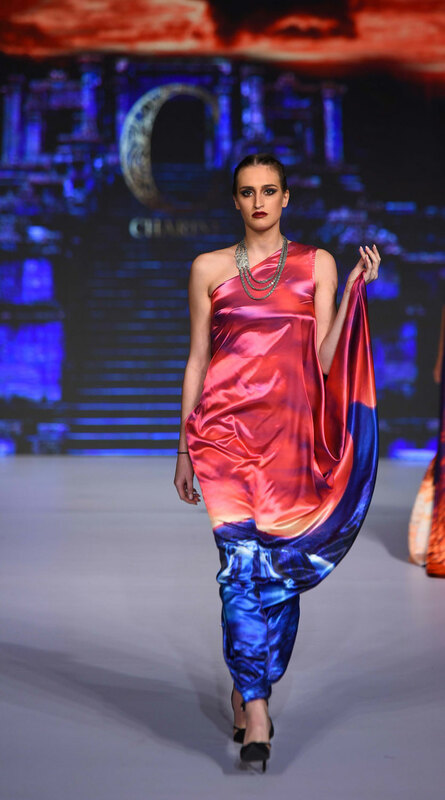 This season, the epic poem “Salalihini Sandeshaya” provided the inspiration for the fabrics she created. Each piece contained Charini’s interpretation of scenes from the poem. 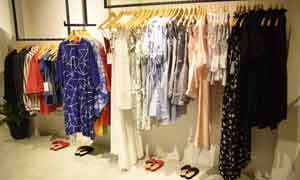 Sarees, dresses, skirts and blouses with exaggerated sleeves formed the mainstay of her collection. 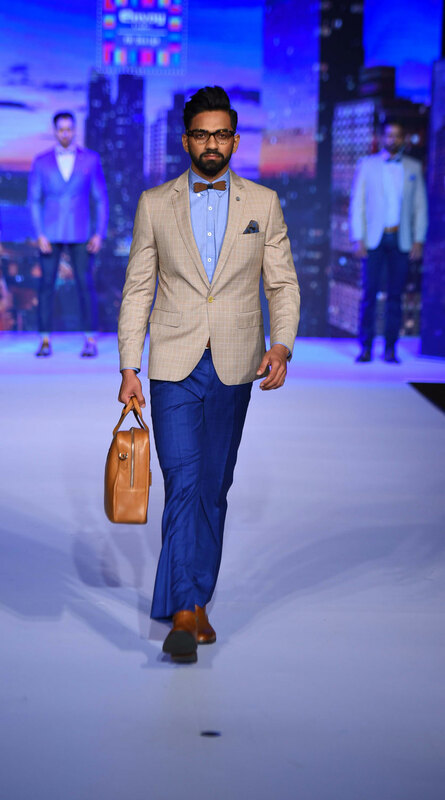 A pioneer in men’s tailoring in Sri Lanka, Fouzul Hameed presented a stunning menswear collection. Inspired by his travels, Italian architecture, atmosphere, environment and people played a role in helping Fouzul Hameed design this collection. His three collections, De Rigueur, Contemporary and Celebrate life were a celebration of the modern man. 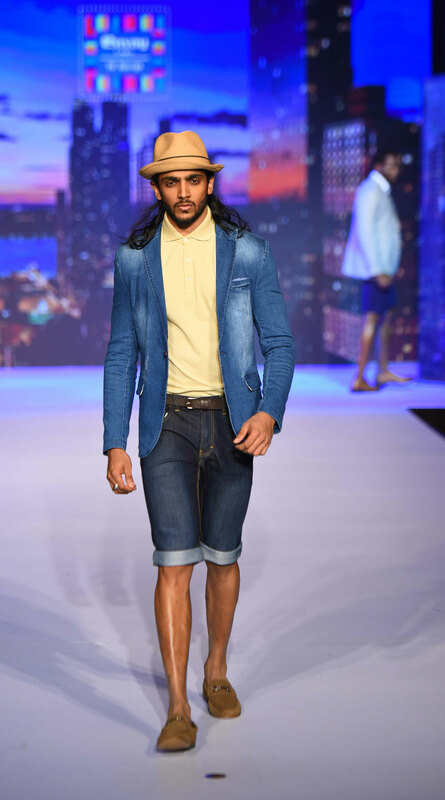 The three collections were fresh sharp and exactly what the modern Sri Lankan man need. 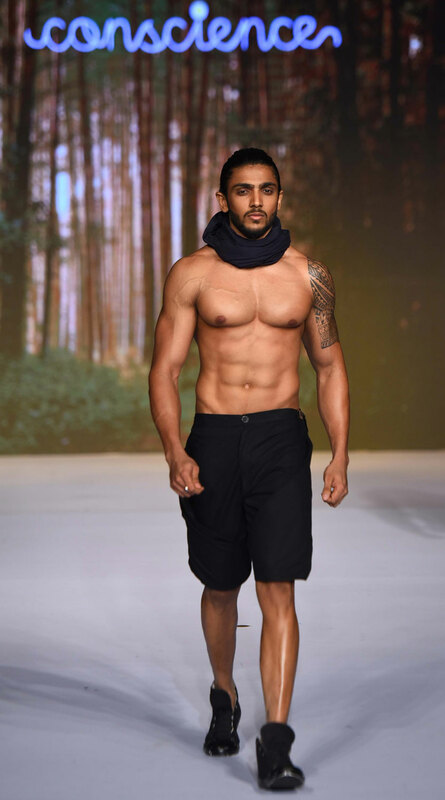 A stunning collection that proves with each season Dimuthu keeps upping the ante. The way he manipulates the fabric to create new textures and designs is a testimony to his design vision. 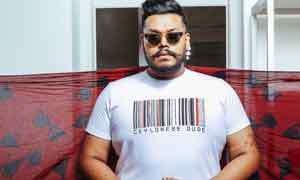 A man of few words, Dimuthi lets his creations do the talking!. And what a conversation it made. 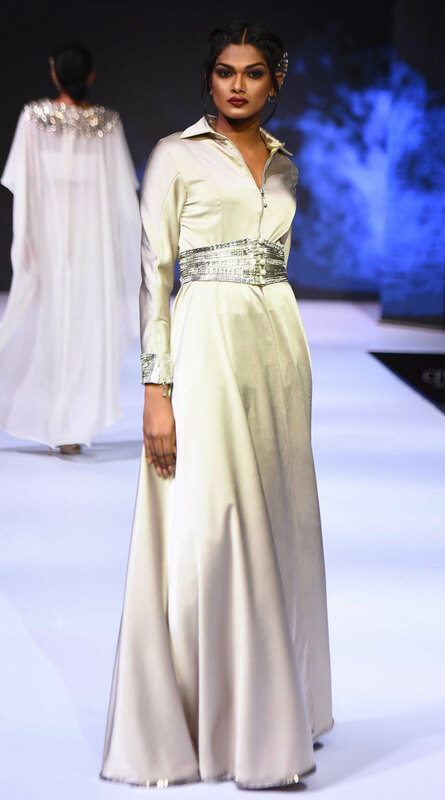 Inspired by the story of Joan of Arc, Dimuthu’s collection portrays the journey from peasant girl to a warrior woman. The silhouettes were strong but at the same time, they had a delicate air of femininity to it. 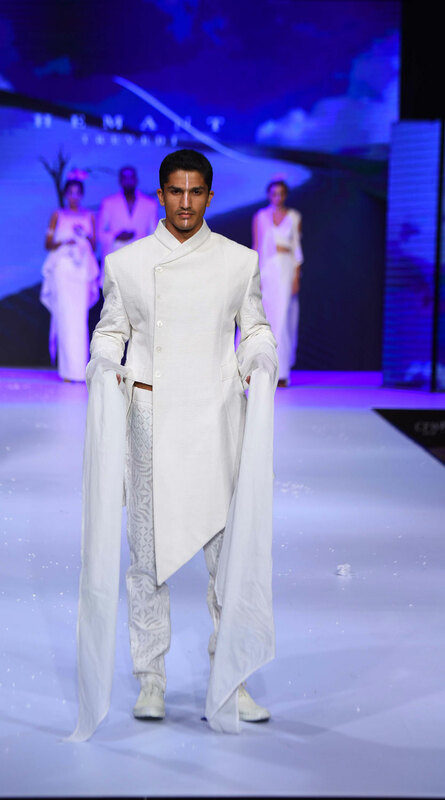 Dimuthu has stayed true to his signature style with lots of drapes and structure. 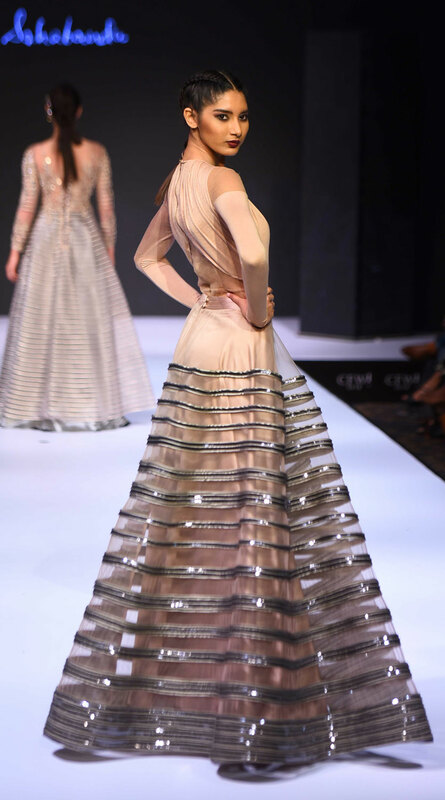 The silk chiffons, georgette and mesh fabric ranged from hues of white and metallics to deep ox blood. 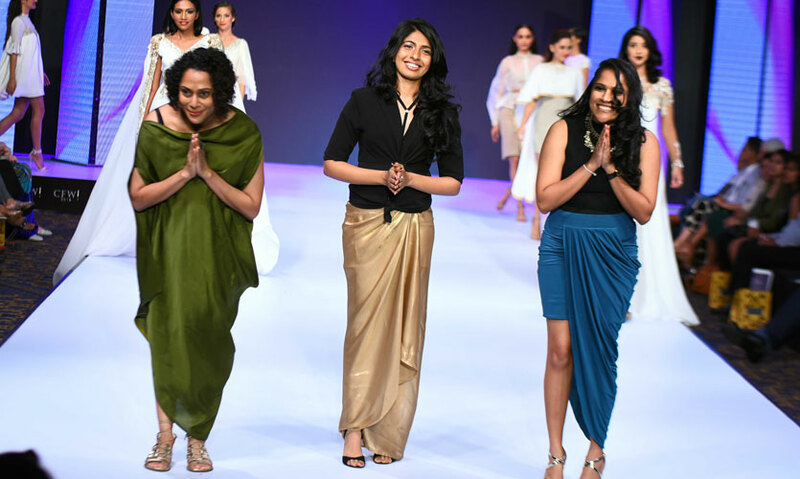 In keeping with the au natural trend in make-up, Pallavi Symons created some fresh faced looks for Ponds.The looks ranged from day to evening using a combination of contouring, and highlighting which are the current trends. 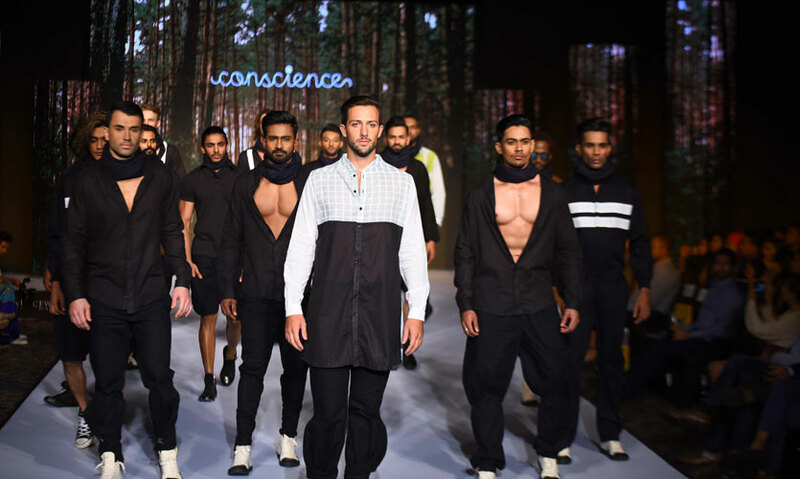 Ever conscious about the environment, Conscience presented a collection that worked with the depth and simplicity of the colour black. Black in this collection is the absence of colour, but still manages to relate a colourful story. The emotional language of the colour is represented in the silhouettes that are pushed beyond the conventional. The philosophy of the brand which is to create the supply chain of happiness is represented in this collection which uses a combination of handwoven, upcycled, recycled fabrics and zero waste pattern. Darshi, combined her childhood memories with her desire to blur the lines of race and send a strong message for peace through her collection. Responsible for creating a renaissance in the batik industry, designer Darshi was inspired by childhood memories of her garden. She was also inspired by the work created by Yumi Okita who creates textile sculptures of butterflies. 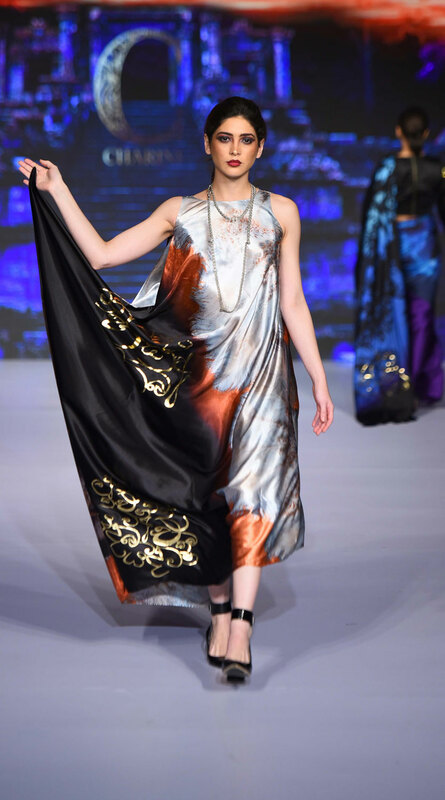 Using vibrant colours and her signature floral designs, Darshi also incorporated butterflies into her fabric designs. 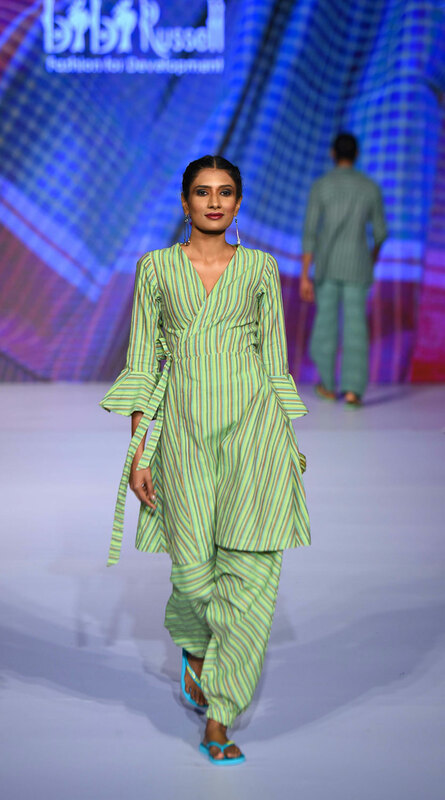 Her silhouettes varied from fitting to flowy and her colour palette was vibrant in keeping with the tropical vibe of Sri Lanka. 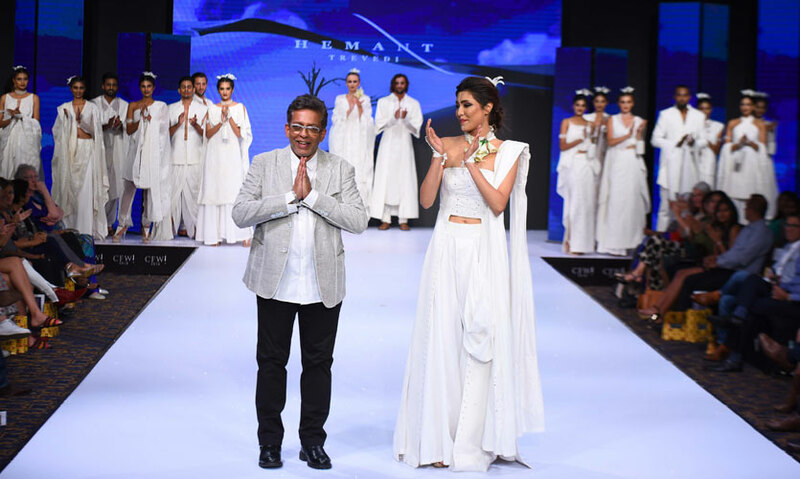 Undoubtedly one of India’s foremost and most important fashion designers, Hemant Trivedi’s collection was an apt finale to day 3 of Colombo Fashion Week. 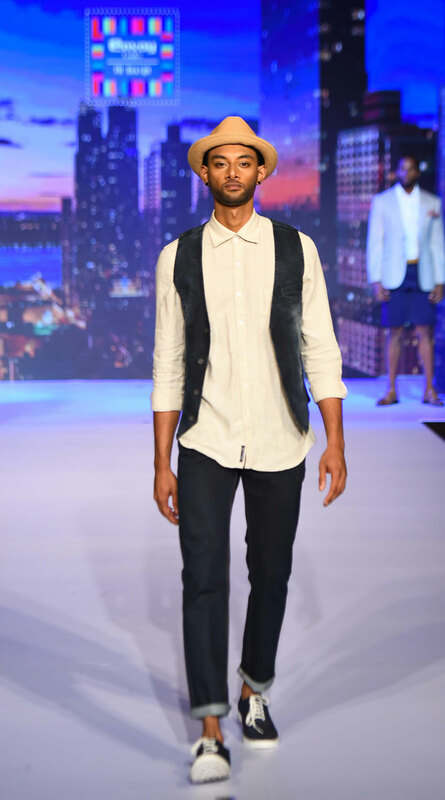 Collaborating with artisan communities in his native India, Hemant’s collection of simple fabrics were made dazzling by his exquisite use of appliqué. 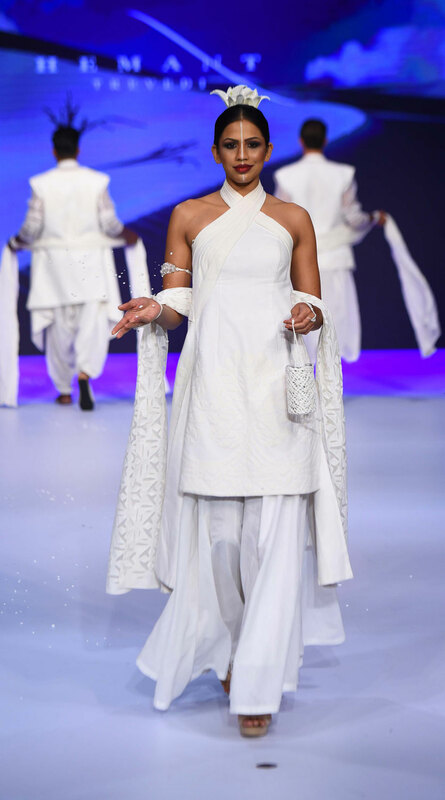 Harnessing the purity of the colour white, this formal fusion collection had intricate patterns appliquéd on it to create a luxe look to the collection. 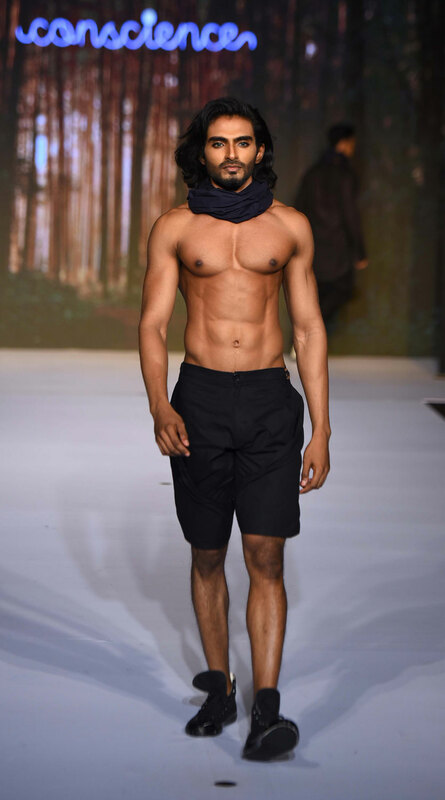 His collection had many seductive moments as the look and feel of the clothes he sent down the runway showed his ability to transform a simple piece of cloth into a stunning garment.